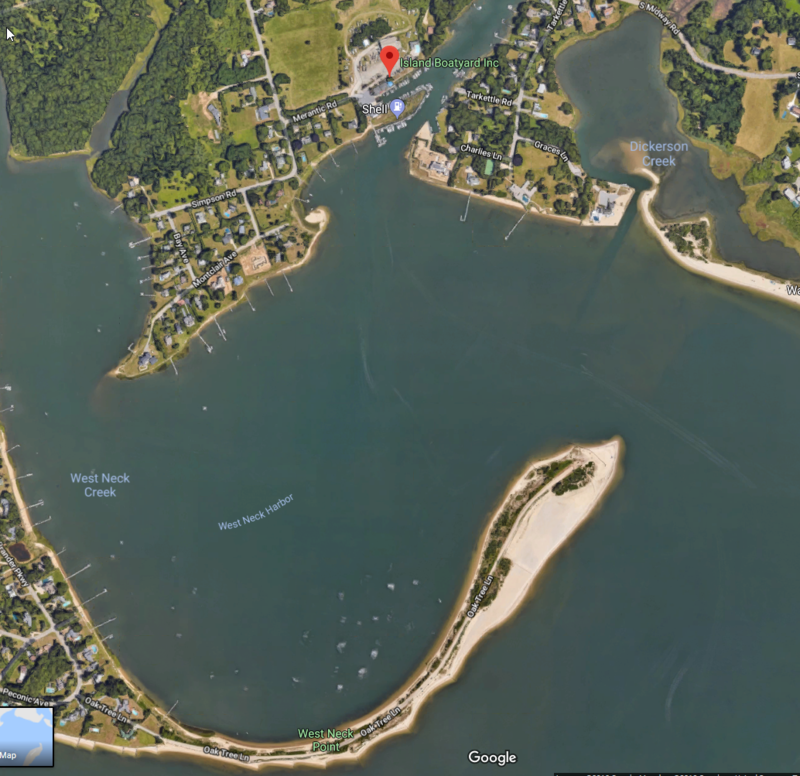 Description: "The Island Boatyard & Marina is located on Shelter Island, New York, between the north and south forks of Long Island. 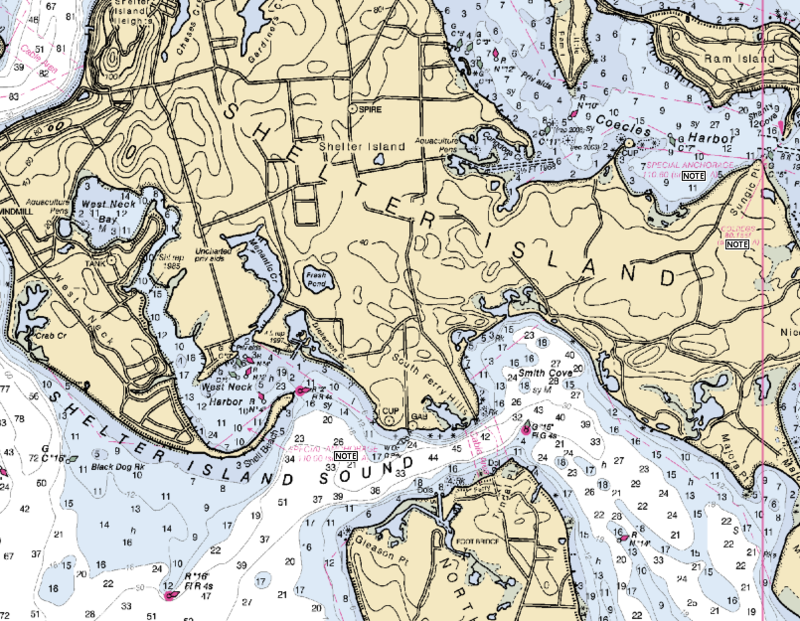 We are located in West Neck Harbor which is well known for its natural buffers that limit wave and wind action for your boat's protection as well as your comfort. 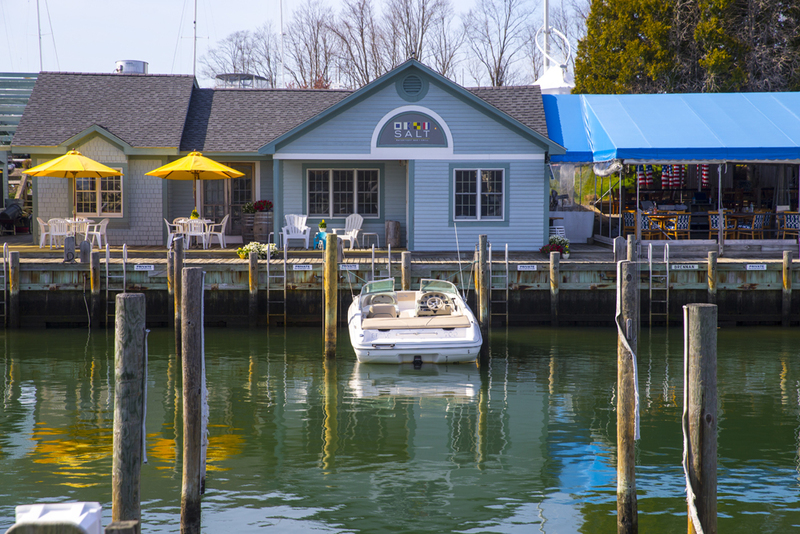 The Marina has 80 slips that can accommodate power or sail boats from 15 feet to 60 feet. Seasonal transient slips are available as is our pool, restaurant, boat bar and free shuttle van that you can use to explore the Island. Gas and diesel from our newly installed tanks and fuel delivery system are available 7 days a week at our fuel dock as well the sanitation pump out." The entrance to the Island Boatyard is not obious, but easy when you follow the buoys. Do NOT attempt to go straight across the harbor to the marina. You must take a hard turn to port and follow the buoys to avoid the shallow water. Aerial view does not show the shallow water. 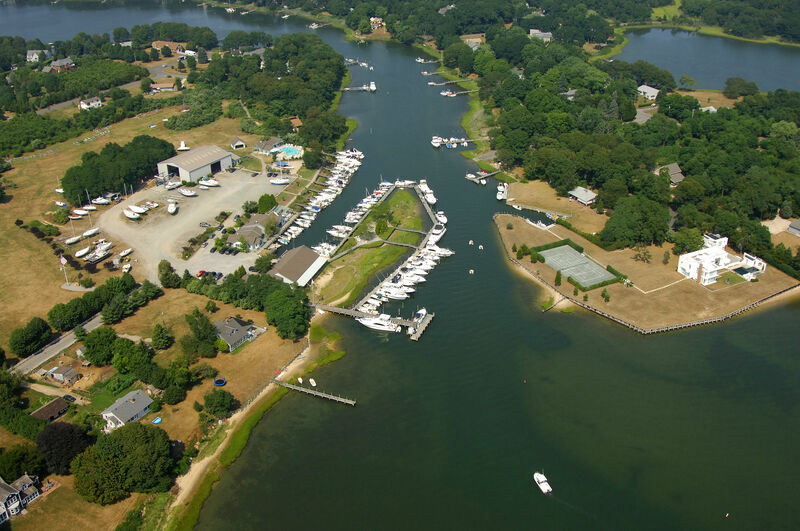 Aerial view of the Island Boatyard. Note the boat making the proper approach to the marina.